This area is a high crime area. If you see suspicious activity in this area please report it. When focused on the river, please report subjects crossing via raft or swimming. This river area is known for illegal drug activity. If you see people in boats crossing the water please report this activity. During low water levels they may cross by wading or swimming. If you see persons on foot in this area carrying bundles or backpacks please report this activity. This is a drug crime area. Should you see anyone on foot or crossing the river via raft or swimming, please report this activity. Look for individuals on foot carrying backpacks. If you see this activity please report it immediately. This is a known drug traffic area. If you see people or vehicles in the lower right hand portion of the view please report this activity. This area is known for drug activity. Please report persons on foot and or vehicles that are parked along road. If you see people in this area on foot carrying bundles / backpacks please report this as suspicious activity. 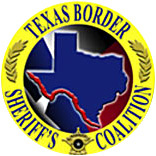 BlueServoSM deployed the Virtual Community Watch, an innovative real-time surveillance program designed to empower the public to proactively participate in fighting border crime. The BlueServoSM Virtual Community WatchSM is a network of cameras and sensors along the Texas-Mexico border that feeds live streaming video to www.BlueServo.net. Users will log in to the BlueServoSM website and directly monitor suspicious criminal activity along the border via this virtual fenceSM. Copyright © 2007-2017 BlueServo, LLC All rights reserved. Patented Technology.